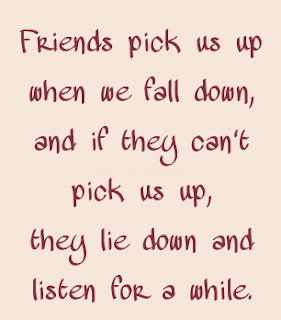 True friends are there when we need them the most. Whether we need them to listen to us, help us plot revenge or even help us through a trial, they are on our side. As this great quote suggests, our friends are there to pick us up when we are down and if they can't lift us, they are there to listen.